Q: What Is The Difference Between The Food-Grade Lubricant Classifications H1, H2 And H3? A: These classifications distinguish different types of food-grade lubricants by what they may/may not contain and how they may be used. H1 lubricants may be used in applications where incidental food contact may potentially occur. Such incidental contact is limited to a trace amount: It must not exceed 10 parts per million (i.e., 0.001 percent), or else the food is deemed unsafe for consumption. H1 lubricant formulations may only contain certain base stocks, additives and thickeners as specified by FDA regulations (21 CFR 178.3750). Usually, when people refer to “food-grade” lubricants, they mean H1 lubricants. 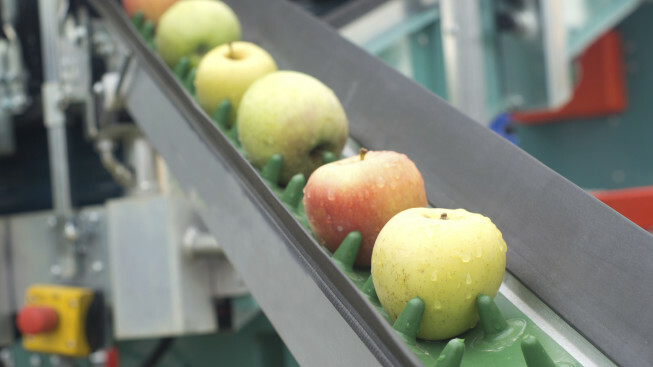 H2 lubricants can be used in food-processing facilities, but only where there is absolutely no possibility of contact with food. Most substances used in lubricant formulations in general are acceptable in H2 lubricants, but there are restrictions pertaining to toxicology and other considerations. For example, H2 lubricants cannot contain carcinogens, mutagens, teratogens, mineral acids or intentionally heavy metals such as antimony, arsenic, cadmium, lead, mercury or selenium. H3 lubricants may only contain edible oils that satisfy FDA 21 CFR 172.860 (such as corn, soybean or cottonseed oils), certain mineral oils that meet FDA 21 CFR 172.878, and oils generally recognized as safe (GRAS) under either FDA 21 CFR 182 or FDA 21 CFR 184. H3 lubricants are typically used to clean and prevent rust on hooks, trolleys and other such equipment. Isel offers a broad variety of food-grade lubricants for virtually any application. We also can assist you with a lubrication survey to evaluate your lubricant requirements. Contact us, and let us help you select appropriate solutions for your needs.